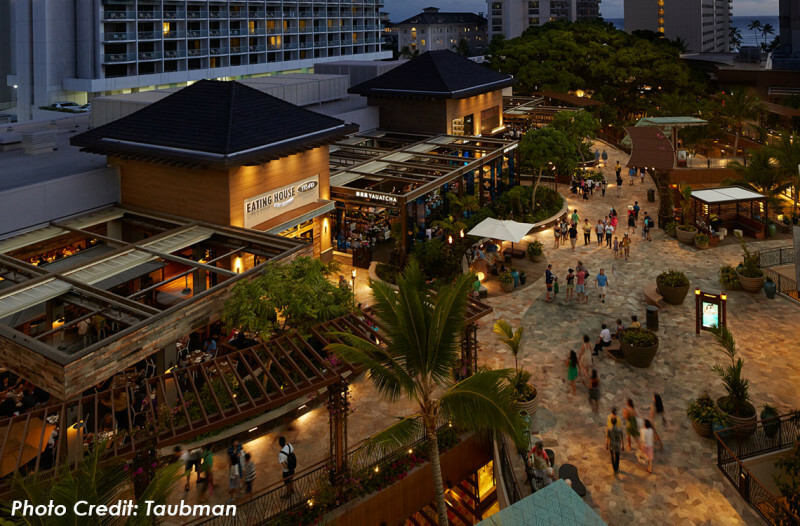 The International Market Place (IMP) is located in the heart of Waikiki on the island of Oahu. Encompassing approximately 6 acres, the site was formerly the IMP, an open market, Miramar Hotel, retail, restaurants and other commercial uses. The iconic landmark underwent a major renovation to revitalize the area and create a sense of place for visitors and residents. 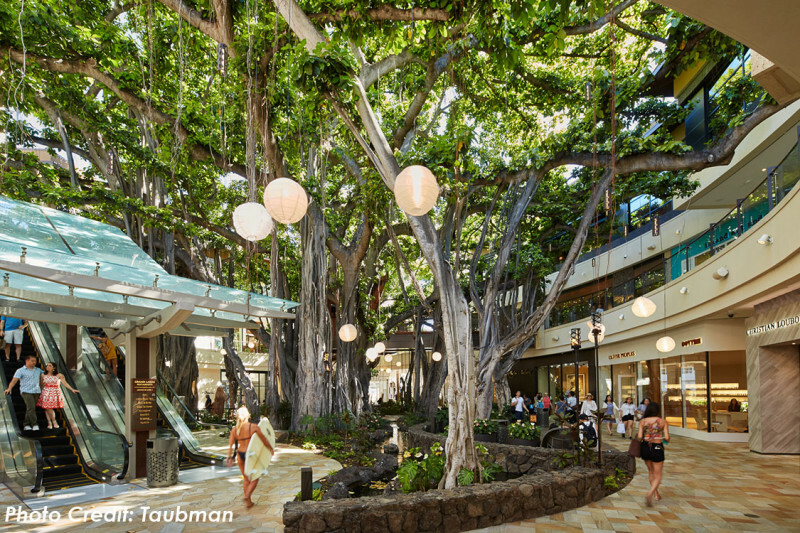 The IMP consists of new retail, restaurants, and other commercial uses including Hawaii’s first Saks Fifth Avenue. WOC provided civil engineering design services for the development of construction plans for mass grading, site demolition, site layout, grading, drainage, water, wastewater and erosion control plans. 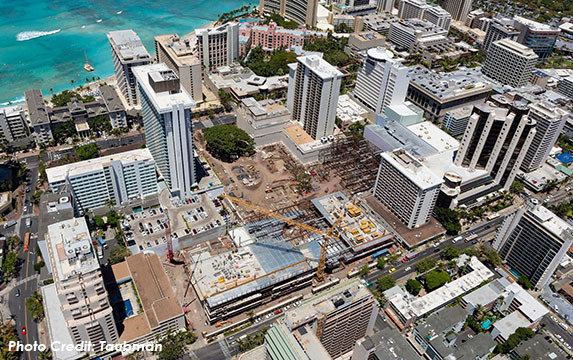 WOC also assisted in the preparation of the Preliminary Engineering Report (PER) in support of the Waikiki Special District permit. WOC also provided traffic engineering services for the design of proposed traffic signal modifications at the intersection of Kuhio Avenue with Walina Street to accommodate the proposed access to the new center. Design plans included pedestrian curb ramps, adjustments to pedestrian signal indications, traffic signal operational phasing, striping and signage plans, and traffic control plans. 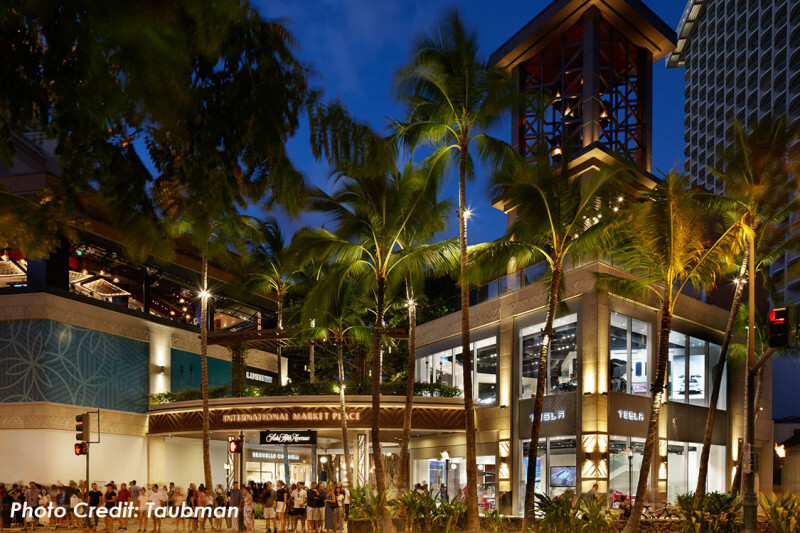 WOC also prepared a Traffic Impact Analysis Report in support of the Waikiki Special District permit as well as a Construction Management Plan to address potential traffic impacts as a result of construction activities associated with the project on the surrounding roadways and environment.